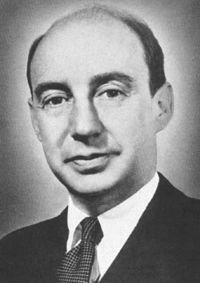 Adlai Stevenson was an American statesman and unsuccessful Democratic candidate for President in 1952 and 1956. He served as U.S. Ambassador to the United Nations (1960-65), Governor of Illinois (1948-52), Special Assistant to Secretary of Navy Frank Knox (1941-44), and also engaged in the practice of law (1927-41). Stevenson was the author of Call to Greatness (1954), What I Think (1956), The New America (1957), Friends and Enemies: What I Learned in Russia (1959), Putting First Things First: A Democratic View (1960) and Looking Outward: Years of Crisis at the United Nations (1963). His words can also be found in the 1965 book The Wit and Wisdom of Adlai Stevenson, compiled by Edward Hanna, Henry Hicks, and Ted Koppel. Date, time and place of birth: February 5, 1900, at 11:55 a.m., at 2639 Monmouth Avenue, Los Angeles, California, U.S.A. Wedding took place at 4:30 p.m. at the Fourth Presbyterian Church on Upper Michigan Avenue, Chicago, Illinois, U.S.A.
Burial site: Evergreen Cemetery, Bloomington, Illinois, U.S.A.
* Note that the date of divorce a number of sources report for the Stevenson's is actually the date the divorce papers were filed, not the date the divorce was final. Visit our divorce dates in biographical profiles for more information on divorce dates offered here at Internet Accuracy Project. ** Adlai's father died in McLean County, Illinois, not "McClean" County, as a couple of sources erroneously report. Also note that a couple of sources mistakenly report his mother died in Illinois. As noted above, Helen Stevenson died in Wisconsin. Adlai Stevenson was unquestionably one of the most famous unsuccessful presidential candidates in American history. Though he twice failed in his quest for the White House, he inspired a generation. One of Stevenson's chief assets was his ability to deliver spirited speeches with wit and eloquence. It was that very eloquence that led many to believe the articulate, cultivated and urbane governor wrote all of his own speeches. In actuality, he had a large group of speechwriters which included notables such as Arthur Schlesinger, Jr. and John Kenneth Galbraith. Governor Stevenson's worldwide popularity was untarnished by his two presidential defeats (losing both times to his Republican opponent, Dwight D. Eisenhower). He influenced the world view of the United States even before he became U.S. Ambassador to the United Nations. While at the U.N. he demonstrated his seasoned statesmanship on a number of occasions, but none more memorable than during the Cuban Missile Crisis. In October of 1962, after the U.S. discovered offensive Soviet nuclear weapons in Cuba, Stevenson confronted Soviet Ambassador Valerian Zorin in an emergency session of the U.N. Security Council. During Stevenson's presentation he challenged his Soviet counterpart to admit that his country was installing missiles in Cuba, which he punctuated with the famous demand, "Don't wait for the translation!" in demanding an immediate reply. In another memorable comment, Stevenson said that he was prepared to wait "until Hell freezes over" for Zorin's answer. In a diplomatic coup, Stevenson presented to a stunned U.N. audience, aerial reconnaissance photographs that proved the existence of Soviet missiles in Cuba. Before launching his career in law and politics, Governor Stevenson worked in various positions at the Daily Pantagraph, a Bloomington, Illinois newspaper owned by his family and founded by his great-grandfather. Adlai was the grandson and namesake of Vice President of the United States Adlai E. Stevenson, who served from 1893 to 1897, under President Grover Cleveland.